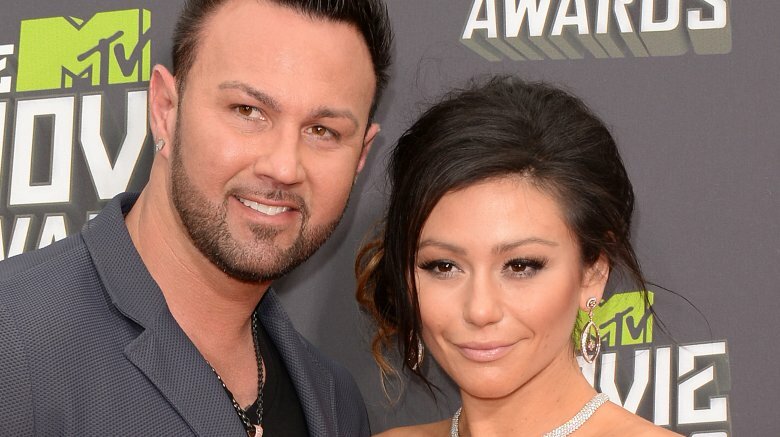 Jersey Shore star Jenni Farley, who's widely known as JWoww, has filed for divorce from her husband of nearly three years, Roger Matthews. Farley started divorce proceedings on Sept. 12, 2018, filing for divorce in Superior Court in New Jersey's Ocean County, according to Asbury Park Press. She reportedly listed "irreconcilable differences" as the reason for their split and stated that she and Matthews have been experienced a "breakdown of the marriage" for at least six months. Farley reportedly wants joint custody of the two children she shares with Matthews, 3-year-old daughter Meilani Alexandra and 2-year-old son Greyson Valor. However, she is said to also be seeking primary residential custody of them, as well. Asbury Park Press notes that Farley wants to receive child support and to have Matthews provide health insurance for their children. She also reportedly stated that she'd like life insurance policies to be taken out for the children and for her to be listed as a trustee. Farley, who'd married Matthews in October 2015, reportedly also asks for equitable distribution for all properties acquired after their marriage. Soon after Farley's divorce filing made headlines, Matthews took to Instagram to confirm the news. "Alright, so here you go bloodthirsty b*****ds who have to know what's going on," he said in a video to his followers. "You're the same people who go to a hockey game to see a fight break out and go to Nascar to see somebody wreck in a car and get mangled. No, I'm kidding some of you are probably actually genuinely concerned. I appreciate that." Denying that there was any infidelity in their marriage, he stated, "There's no cheating or any dumb s**t or any juicy details. It's just she grew tired of the repetitive pattern that we fell into. Again, I am not going to get into detail but it was a repetitive pattern and not a good one." Matthews also shared that he wasn't "done fighting" for his relationship with Farley, vowing, "I am going to win my wife back." He continued, "I'm going to win her affection back, I am going to win her love back. I have no intentions on being a single dad. We're in counseling, so there is hope. It ain't over 'til the fat lady sings." At the time of this writing, Farley has yet to publicly speak out about their divorce.